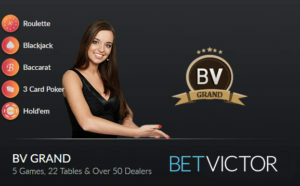 After almost 2 years BetVictor have restored a dedicated Blackjack table at its BV Grand Live Casino. BetVictor removed the dedicated tables when they opened their own studio in Gibraltar in 2014 and then a year later, due to economic pressures, they closed the live studio and moved the operation to generic tables at Medialive. So it’s great to get the dedicated blackjack back, but I can see that it’s going to get extremely busy. The good news is that it takes bets from £5 up to £5000 a hand so will suit both low and high rollers. It’s also got all the blackjack side bets and is presented in the new user interface. Personally I prefer a lighter coloured table, but maybe not as bright as the orange ones over at Leo Vegas. Still, I won’t complain too much as I always liked playing at the dedicated tables and was sad to see them go. 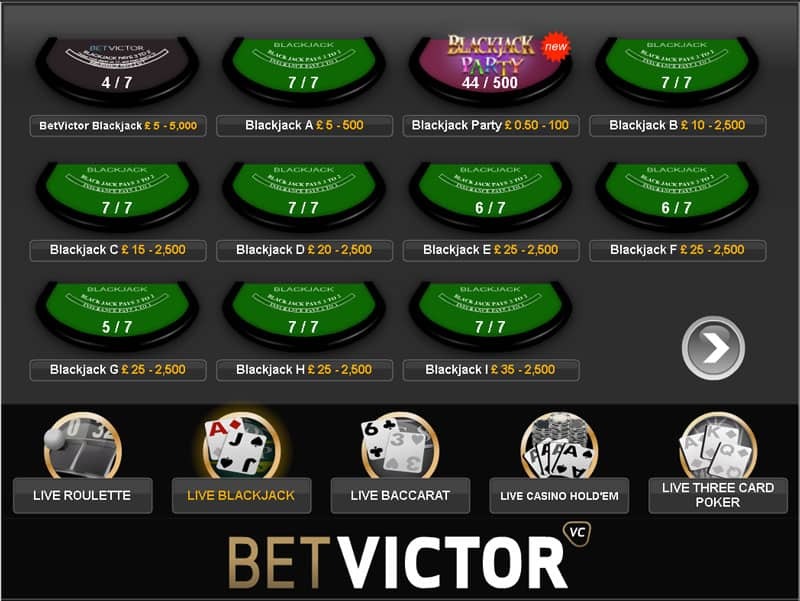 The BetVictor Live casino is one of the most popular casinos around. With 4 live casinos from different suppliers they’ve got a real good mix and is a great place to play. 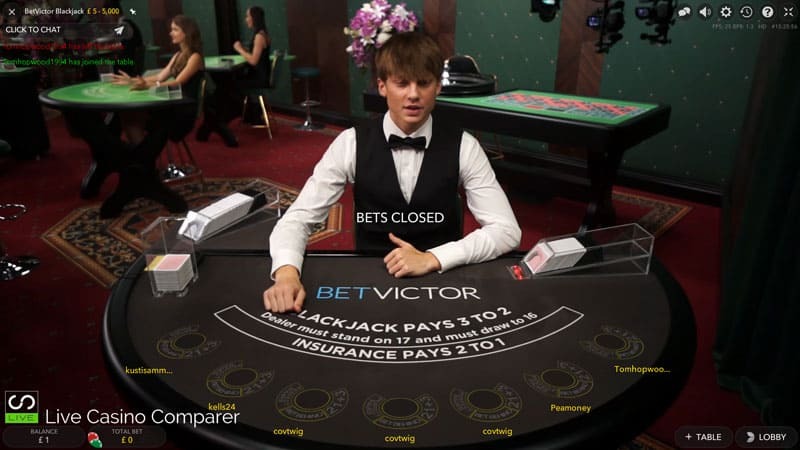 The addition of the dedicated Blackjack Table will now allow BetVictor to compete with the other live casinos I’ve reviewed. The most popular being the ones with dedicated tables. !